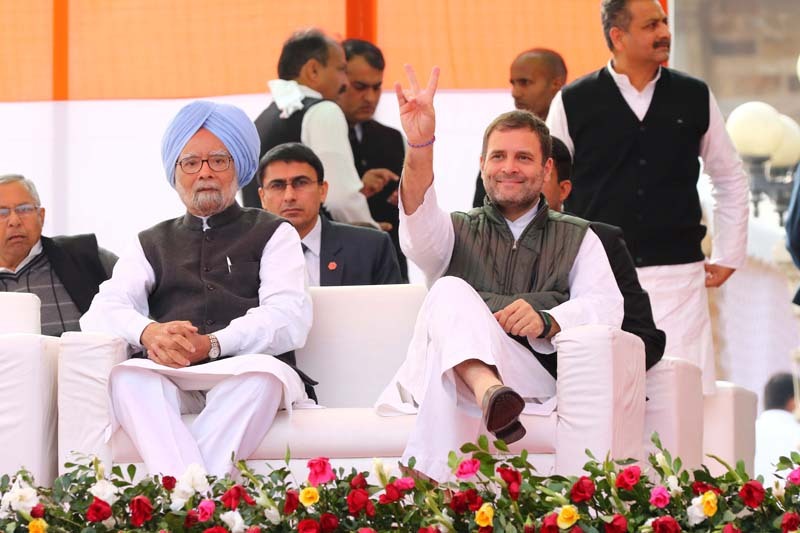 Jaipur: Monday witnesses formation of Congress government in three Indian states– Rajasthan, Madhya Pradesh and Chhattisgarh and its Chief Ministers taking oath of secrecy. 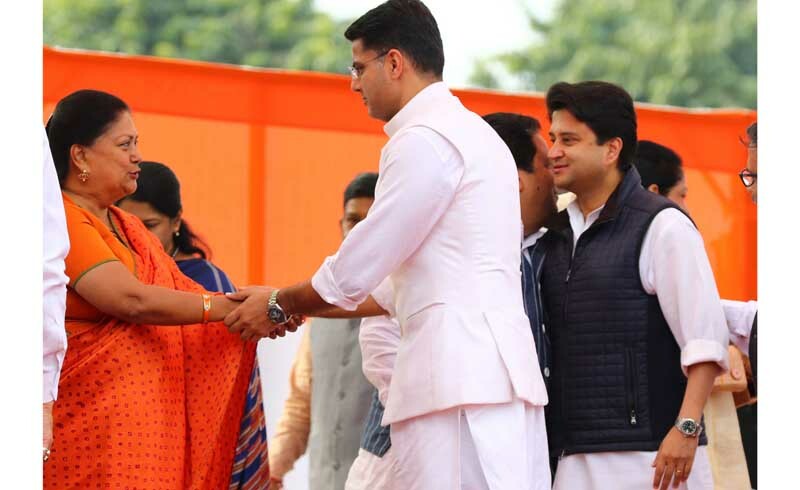 The first and most important one remain the largest Indian state– Rajasthan, where Congress made a deputy chief minister too. 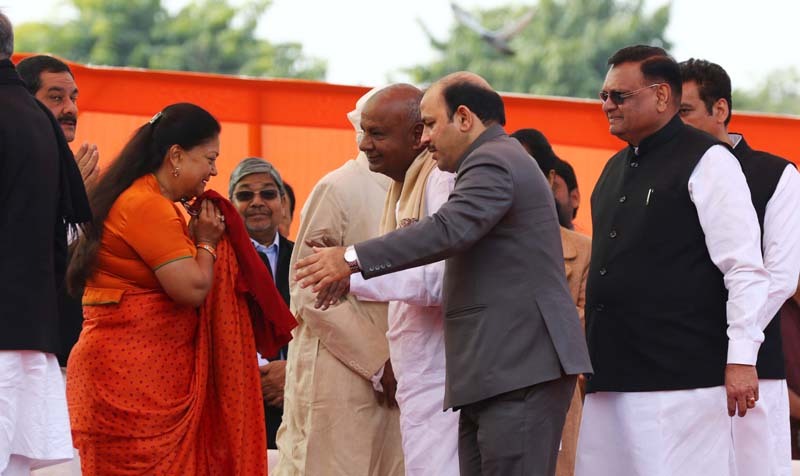 So both chief minister and its deputy Ashok Gehlot and Sachin Pilot respectively took oath. 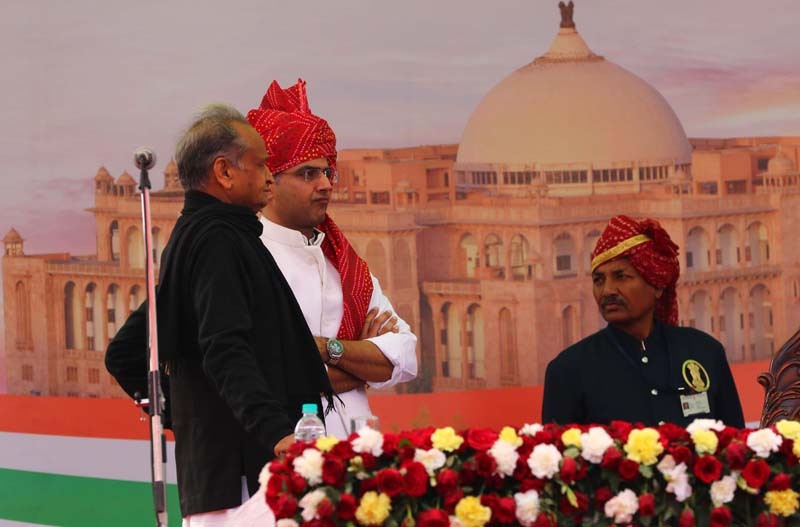 67-year-old Ashok Gehlot becomes Chief Minister of desert state for the third time. 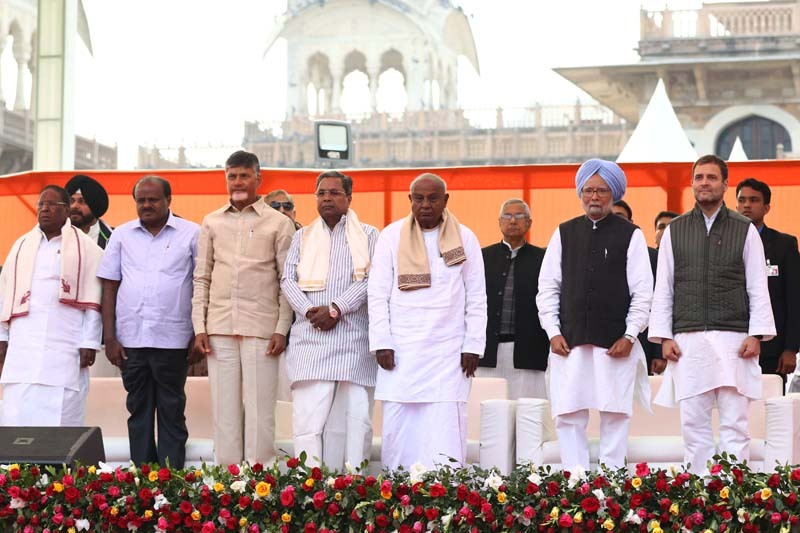 On the occassion, from Congress president Rahul Gandhi and former Prime Minister Manmohan Singh to several chief ministers including Chandrababu Naidu, Kumara Swamy, former CMs including Hemant Soren, Babulal Marandi, RJD Leader Tejashwi Yadav, Congress leader Tarique Anwar and former Prime Minister HD Deve Gowde and many others who are part of Mahagathbandhan remain present in the function.